The SINP's International Skilled Worker Category enables the province to nominate skilled workers with the required education, experience, and language abilities to successfully establish in Saskatchewan. The SINP moved to an Expression of Interest System for its Occupation In-Demand and Express Entry sub-categories. 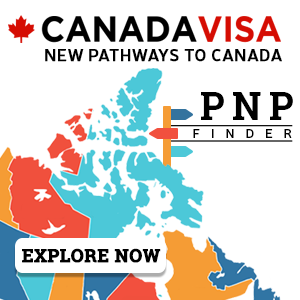 This sub-category enables the province to nominate individuals who are already in Immigration, Refugees and Citizenship Canada's (IRCC) Express Entry pool and who have the necessary education, skilled work experience, language ability, and other factors to help them settle successfully and integrate into Saskatchewan’s labour market and communities. * Saskatchewan began issuing invitations to apply through an Expression of Interest system. Obtain proof of Professional Status or Licensure (for regulated occupations or those with professional certification standards in Canada and/or Saskatchewan) if required by the SINP. If a proof of licensure is requested, the SINP will hold application processing until such proof is provided. Candidates in the SINP's International Skilled Worker Category Expression of Interest (EOI) pool are assessed according to the following five factors: education and training, skilled work experience, language ability, age, and connection(s) to the Saskatchewan labour market and adaptability. To enter the SINP EOI pool, candidates are required to score a minimum of 60 out of 100 points in the EOI Points Grid, among other eligibility requirements, in order to be considered. Points are calculated under this selection factor according to documented proof of skilled work experience (NOC 0, A, B or a designated trade) in the applicant's intended occupation in the previous ten years. Two points are awarded for each year of work experience in the most recent five years, and one point is awarded for each year in the six to ten year period prior to applying. Step-family members or in-laws of the same relationships. This sub-category is for skilled workers who have experience in one of Saskatchewan's in-demand occupations. No job offer in the province is required under this sub-category of International Skilled Worker immigration. * Saskatchewan began accepting applications through an Expression of Interest system. Note: As of April 1, 2018, all applications to the Occupation In-Demand Sub-Category must include an Educational Credential Assessment (ECA) from a designated organization. Score a minimum of 60 points out of 100 on the point assessment grid (see below). 1226 Conference and event planners Completed a degree or a minimum two year diploma program in hospitality, public relations or tourism. 1311 Accounting technicians Completed a minimum two year diploma program in accounting which includes specialized courses in automated accounting, taxation, financial and cost accounting, auditing, intermediate accounting, managerial accounting and accounting information systems. 2251 Architectural technologists and technicians Completed a degree or minimum two year diploma program in architectural technology. 4215 Instructors of persons with disabilities Completed a degree or minimum two year diploma program with a specialization in special education, rehabilitation, orientation and mobility, visual impairment, hearing impairment or intellectual disability. 5254 Program leaders and instructors in recreation, sport and fitness Completed a degree or minimum two year diploma program in recreation, sports or fitness discipline. 6332 Bakers Completed a minimum two year diploma program or a vocational training program specializing in baking and pastry arts which includes at least one year of on the job training. If a foreign national has a Bachelor's Degree or Master's Degree in Social Work, they must provide an assessment of equivalency letter from the Canadian Association of Social Workers (CASW). If a foreign national's education is in a discipline other than social work the CASW will not assess their credentials. Provide Educational Credential Assessment (ECA) from a designated organization. Completed a four year degree program in a social science field. Completed a minimum three year program in computer science, information technology, computer science systems, or a related discipline in integrated multimedia or computing science. Computer Science engineering programs will not be considered. Provide a copy of valid licensure (temporary or provisional) from the Saskatchewan Society of Medical Laboratory Technologists (SSMLT). Provide a copy of the Credential Document Review letter from the SSMLT Registrar indicating that the initial eligibility requirements to apply to the Saskatchewan Society of Medical Laboratory Technologists (SSMLT) for a license are met. View registration information on the SSMLT website. Provide an Examination Confirmation Letter (ECL) or proof of Sonography Certification from the American Registry for Diagnostic Medical Sonography (ARDMS). Provide a copy of the correspondence from SCoP outlining candidate's eligibility to apply to write the national certification exam related to a candidate's practice level. If a foreign national holds a Bachelor's Degree or Master's Degree in Social Work, they must provide their assessment of equivalency letter from the Canadian Association of Social Workers (CASW). If education is in a discipline other than social work the CASW will not assess a foreign national's credentials. Provide an Educational Credential Assessment (ECA) from a designated organization. Completed a degree or minimum two year diploma program in social work, child and youth care, social science or psychology. 4214 Early childhood educators Level II or III Early Childhood Educator Certification is required for SINP eligibility. Provide copies of an assessment letter, the Early Learning and Child Care Assessment Sheet, and a Certificate of Qualification at Level II or III in Early Childhood Education from the Saskatchewan Ministry of Education. For Express Entry applications, provide a Certificate of Qualification from the Saskatchewan Apprenticeship and Trade Certification Commission (SATCC), which requires a trade qualifier assessment (step 1) and requires candidates to write exams in Saskatchewan (step 2). For Occupations in Demand applications, provide a letter of approval from the Saskatchewan Apprenticeship and Trade Certification Commission (SATCC), stating that the trade qualifier assessment (step 1) was completed and that the foreign national is eligible to write exams in Saskatchewan. If a foreign national holds a certificate of qualification from another Canadian province or hold a Red Seal certification, provide a copy of your certificate. Completed a meat cutting apprenticeship program, or vocational training in meat-cutting which includes at least two years of on the job training. 7292 Glaziers For Express Entry applications, provide a Certificate of Qualification from the Saskatchewan Apprenticeship and Trade Certification Commission (SATCC). 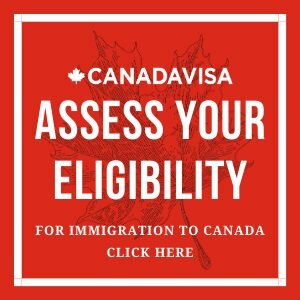 If a foreign national holds a certificate of qualification from another Canadian province or hold a Red Seal certification, provide a copy of your certificate Completed an apprenticeship program or vocational training as a glazier. 7312 Heavy-duty equipment mechanics/technicians For Express Entry applications, provide a Certificate of Qualification from the Saskatchewan Apprenticeship and Trade Certification Commission (SATCC). If a foreign national holds a certificate of qualification from another Canadian province or hold a Red Seal certification, they must provide a copy of their certificate to the SINP. Completed an apprenticeship program or vocational training as a heavy-duty equipment mechanic/technician. 7321 Automotive service technicians, truck and bus mechanics and mechanical repairers For Express Entry applications, provide a Certificate of Qualification from the Saskatchewan Apprenticeship and Trade Certification Commission (SATCC). If a foreign national holds a certificate of qualification from another Canadian province or hold a Red Seal certification, they must provide a copy of their certificate to the SINP. Completed an apprenticeship program or vocational training as either an automotive service technician, truck and bus mechanic, or mechanical repairer. 7322 Motor vehicle body repairers For Express Entry applications, provide a Certificate of Qualification from the Saskatchewan Apprenticeship and Trade Certification Commission (SATCC). Completed an apprenticeship program or vocational training as a motor vehicle body repairer. Candidates will be assessed points according to the following five factors: education and training, skilled work experience, language ability, age, and connection(s) to the Saskatchewan labour market and adaptability. Candidates are required to score a minimum of 60 out of 100 points on the Points Assessment Grid in order to be eligible for nomination. This sub-category is for skilled workers who have already received an offer of employment from a Saskatchewan employer. The job offer must be approved by the SINP before the candidate can apply or the application will be rejected immediately. In order to have the position assessed, the Saskatchewan employer must register on the SINP Employer website. Once the position is approved, the employer will receive a Job Approval Letter, a copy of which must be submitted with the candidate's application to the SINP.